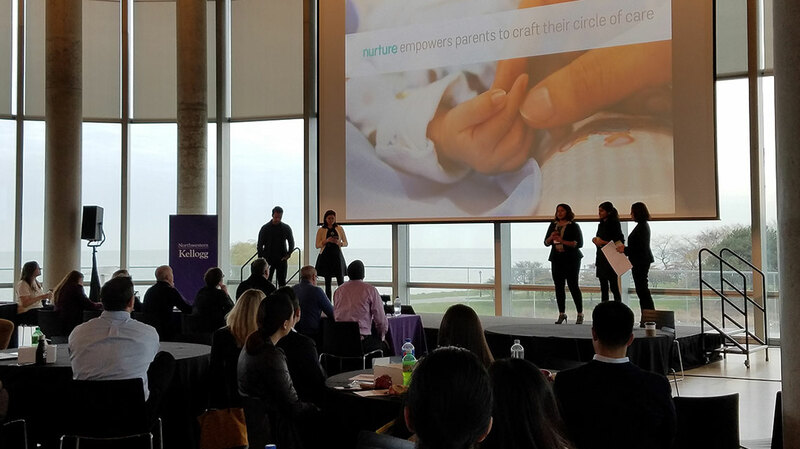 On November 11, 2017, IIT Institute of Design Master of Design students won second place at the Kellogg Business Design Challenge (KDC) hosted by Kellogg School of Management’s Innovation and Design Association at Northwestern University. The competition invites students to apply design strategy to a real-world business challenge and was the first year the competition was open to teams outside of Kellogg. 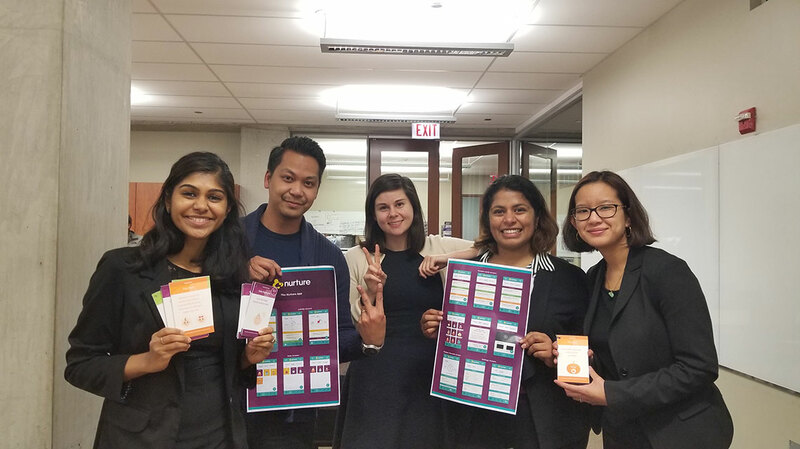 The ID team, Moire Corcoran (MDes + MBA 2019), Blue Cuevas (MDes 2018), Vidya Mantrala (MDes + MBA 2019), Apoorva Shenoy (MDes 2018), and Fanny Tan (MDes 2019), competed against 28 teams from university MBA programs across North America including Rotman, University of Michigan, Northwestern, University of Chicago, and Yale. At the competition, the ID team presented a platform concept centered on sharing prenatal and postpartum education to new parents and the grandparents, siblings, sitters, and medical professionals that make up their circle of care. Their goal was to create an expansive, dynamic relationship with challenge sponsor’s brand through physical and digital touch points that would help parents exchange key information with care givers.